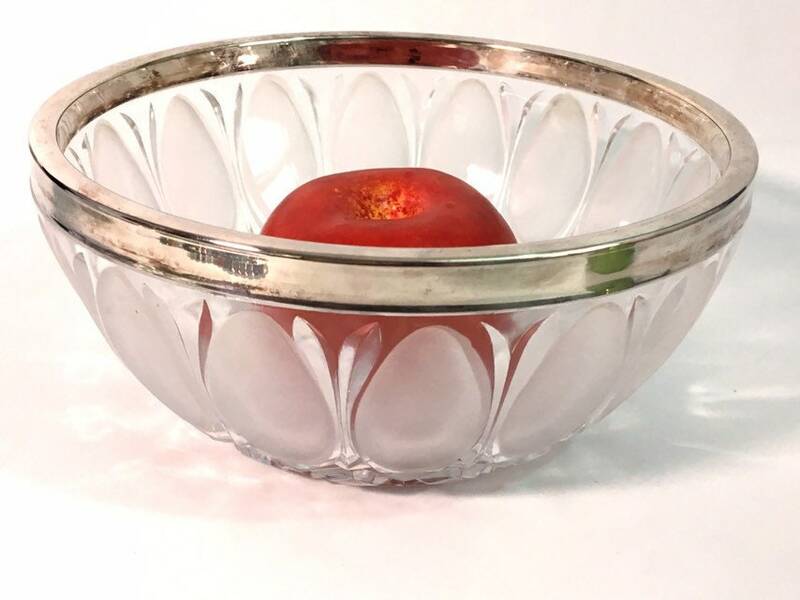 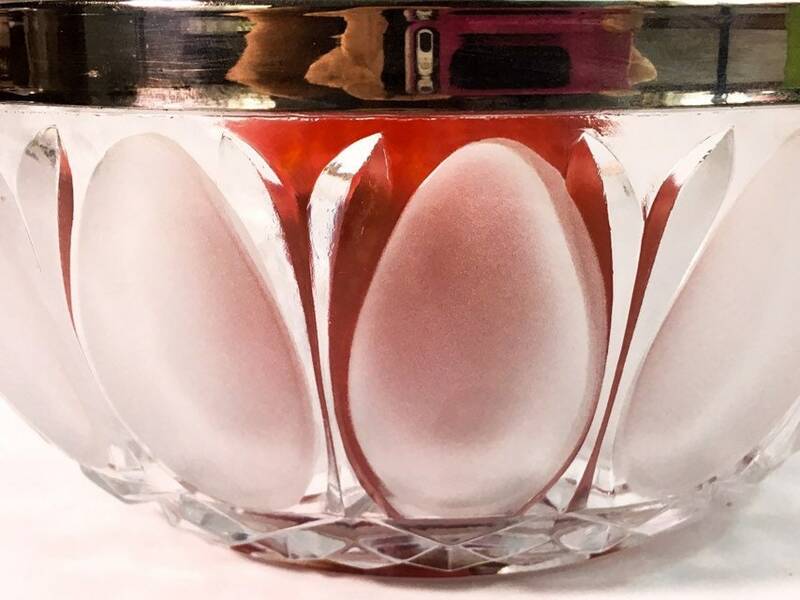 Wonderful silver plated rimmed Oneida lead Crystal bowl that features a series of 16 Frosted Ovals around the bowl. 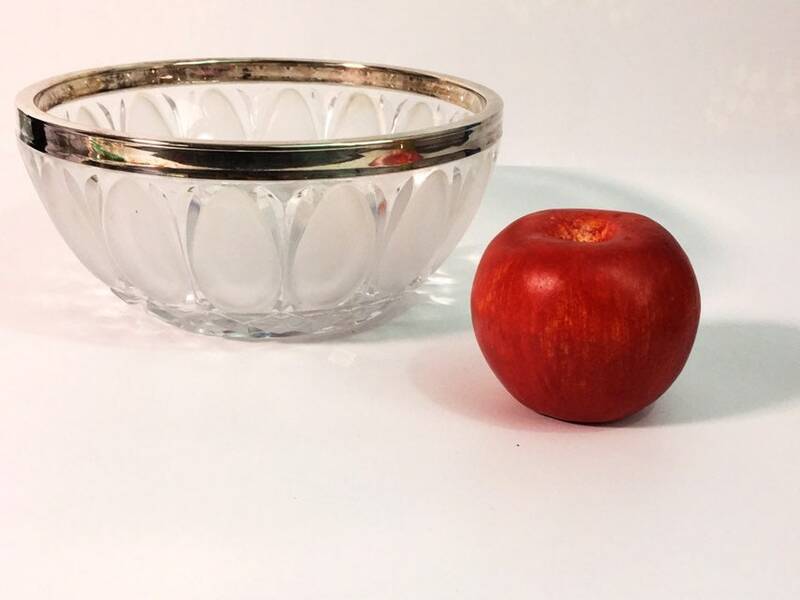 The rim has a 1/2" wide silver band all around the top, both the inside and outside of the bowl. 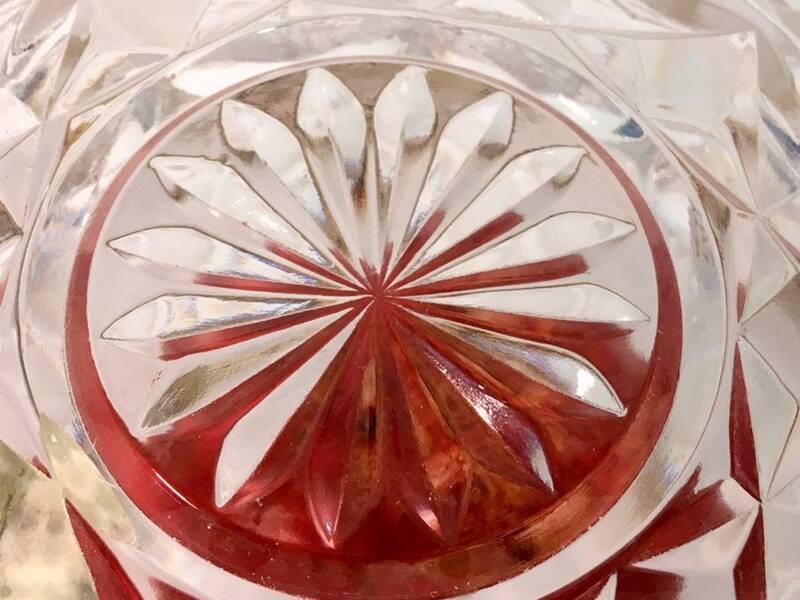 The bottom has a starburst design in the very center with two rows of diamond shapes in a rim above that. 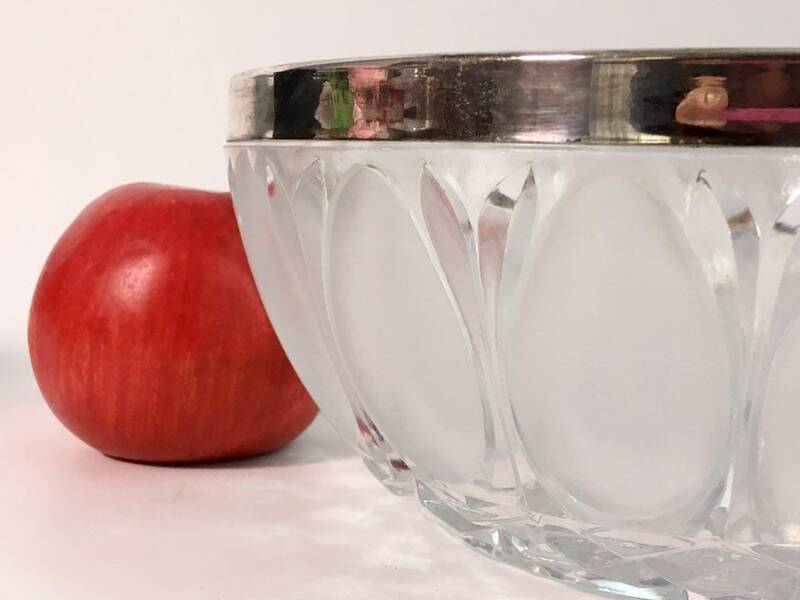 This 1960s vintage Oneida silver trimmed crystal bowl is about 8 1/2" in diameter and 4" high. 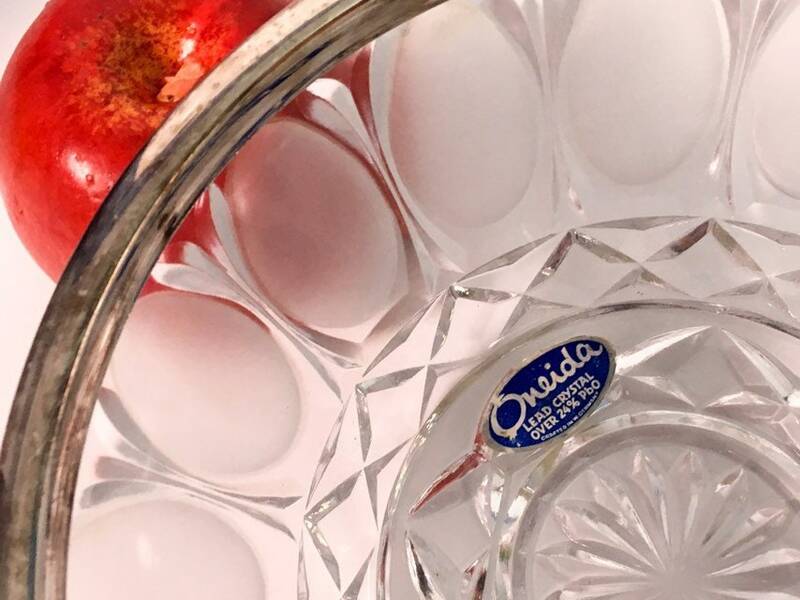 The original sticker is still inside from the Oneida Company. 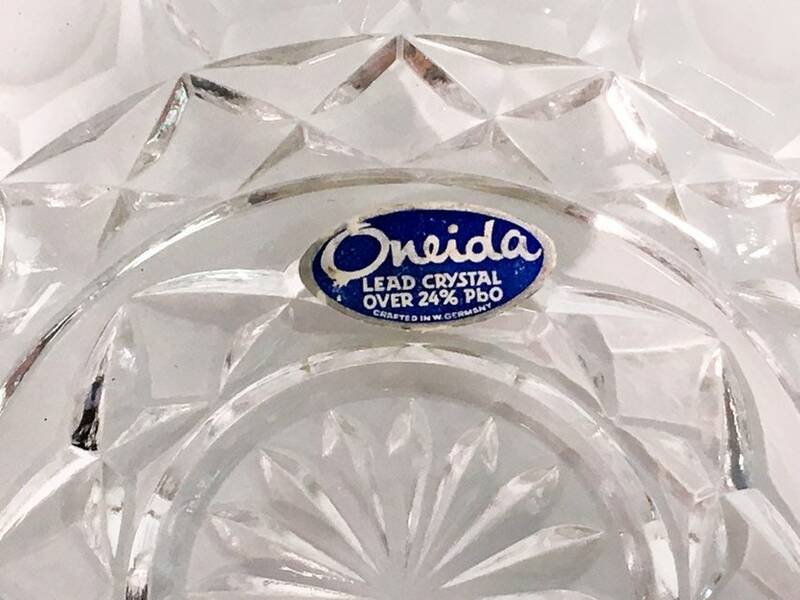 The blue and silver foil sticker says ONEIDA LEAD CRYSTAL OVER 14% PbO CRAFTED IN W GERMANY. 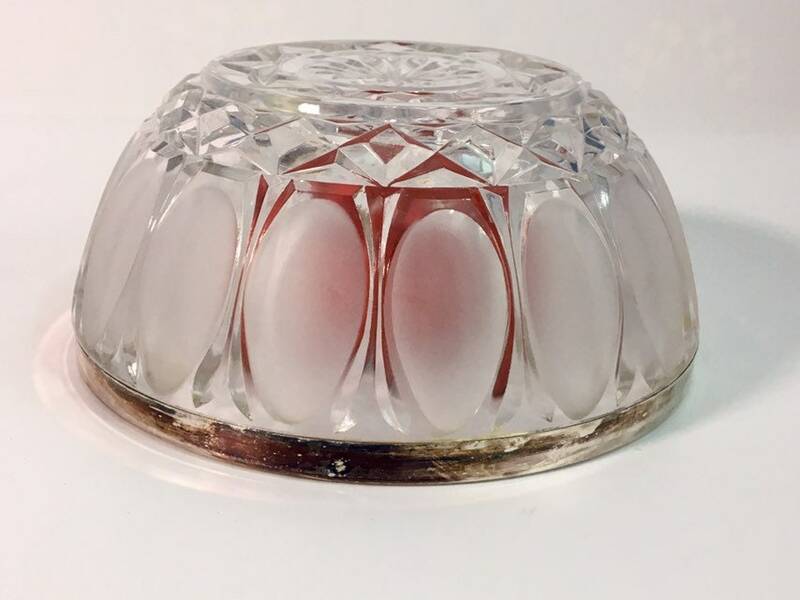 It still has the original blue foil sticker Intact. 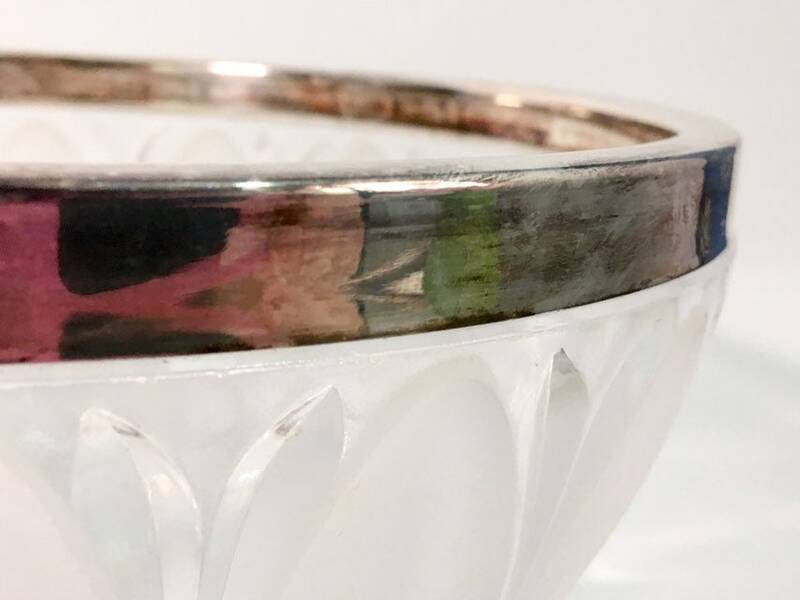 The silver plate rim has patina commensurate with vintage age. 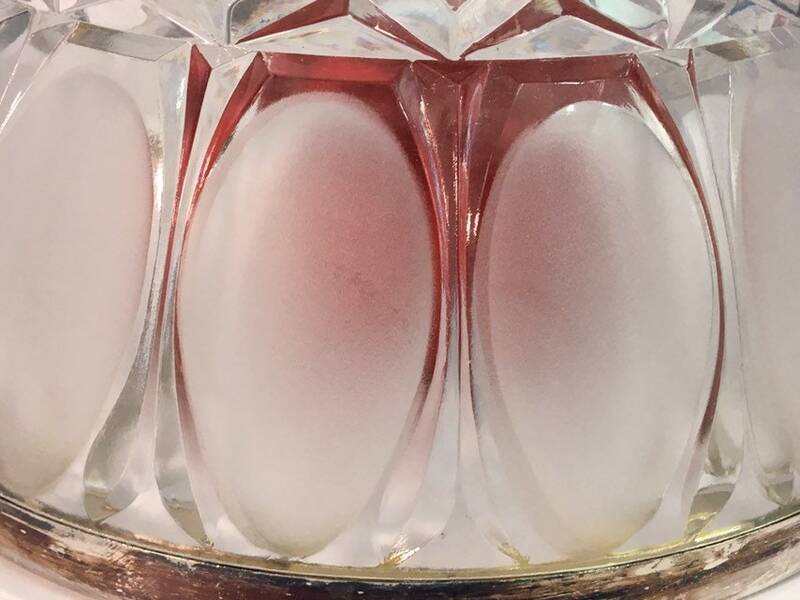 Light wear from storage as this appears to never have been used.